What's better than ice cream after a long hike? Ice cream that won't melt. 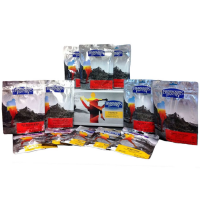 The Backpacker's Pantry Astronaut Neopolitan ice cream sandwich has the 3 flavors you love in a handy, freeze-dried format. A long day of hiking calls for some ice cream, but there's no scoop shop on the trail. 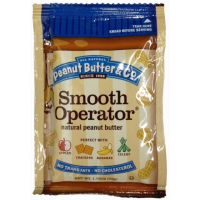 The Backpacker's Pantry Astronaut Vanilla ice cream sandwich gives you all the creamy goodness without the melt. This warming, super-satisfying Vietnamese street food comes with packets of powdered lime juice and Sriracha hot sauce for garnish and extra pop. 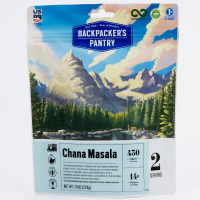 Tasty enough to win Backpacker's Magazine Gear Guide Editors' Choice Award for 2016, Backpacker's Pantry improved their recipe for 2016 to give you authentic Indian cuisine in the backcountry. 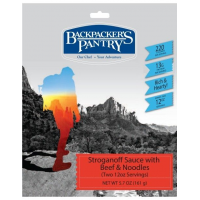 Transport yourself to northern Thailand no matter where you roam with Backpacker's Pantry Chiang Mai Coconut Curry with Beef. It has rice noodles, beef and vegetables in a savory yellow coconut curry.